Our Canine Educators are highly dedicated to the New Life K9s program, and work hard everyday to help our mission. 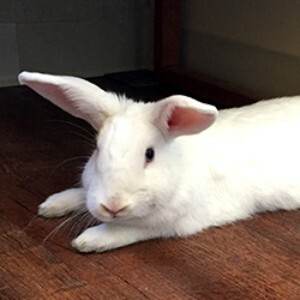 Nicole’s animal experience comes from her work as a zookeeper, and in veterinary hospitals. She attended Bergin University of Canine Studies which is the only accredited university for canine studies in the world. She is accredited in Bond-Based Choice Teaching. Nicole has ten years of experience as a manager/social worker. She has a Bachelor’s degree in Education of the Deaf and a Master’s degree in Marriage, Family, and Child Counseling. Nicole has two Boston Terriers “Bounty” and “Peanut”. 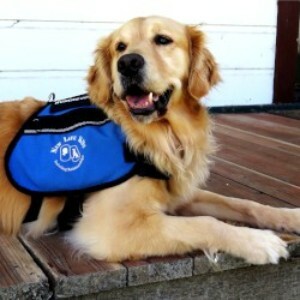 At 17 years old, Rosa became interested in service dogs. 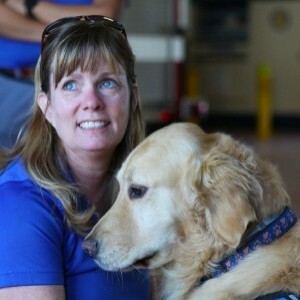 She participated in a high school elective class for 2 years for the Assistant Service Dog Educational Center. After completing her general education classes at Sacramento State, she transferred to Bergin University of Canine Studies. Rosa graduated from the Assistance Education Associates of Science in 2012. She then went on to earn a Bachelor of Science in Cynology (the study of canines) in 2014, also from Bergin University. Courtney is originally from Exeter, CA and moved to San Luis Obispo to attend Cal Poly. She graduated with a degree in Child Development and a minor in Psychology. Courtney always had a passion for dogs growing up and volunteered at a service dog organization in Woodlake, CA when she was younger. 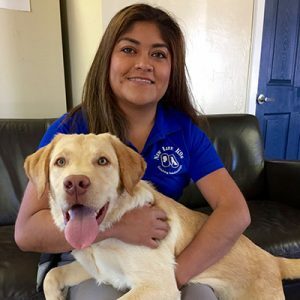 Courtney always knew she wanted to work with dogs, so after graduating from Cal Poly she attended the Assistance Dog Training Seminar at Bergin University. 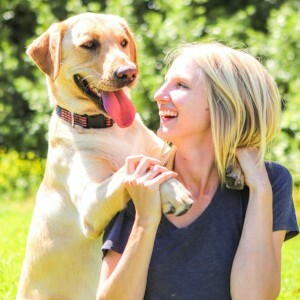 Courtney started as a volunteer at New Life K9s and was a puppy raiser for Jud. I am the Canine Director of New Life K9s. I am charming, loving, and affectionate. I was born in June 30th, 2011. Although, I am 7 years old, I still have moments when I think I am 6 months. My job is to attend events and demonstrations to show everyone all the hard work that my friends do, and the best part of my job is that I get to share my office with my sidekick Nicole. I became part of the New Life K9s team in 2016. My coworkers tell me I have a bunnitude. My favorite treats are nectarines and strawberries. My job is to teach puppies not to chase me. My job is hard work, so I usually need extra time to sleep. If you would like to meet me, please make an appointment with my coworkers Nicole, Rosa, or Courtney.